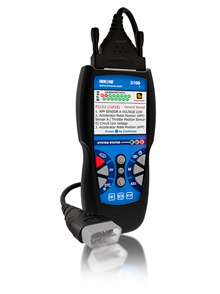 The INNOVA® 3100 tool has been the bestselling OBD2 tool in its class for years. Today, it’s the most popular, user-friendly choice for quickly troubleshooting Check Engine warnings on today’s vehicles. Professional technicians will recognize its many features and benefits, while consumers will find it quick and easy to use thanks to its all-in-one screen and easy-to-use hot keys. 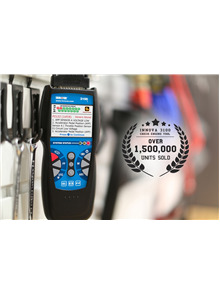 Works with any car, light truck, minivan, SUV or hybrid manufactured since 1996 (OBD2) – foreign and domestic. Patented, 2.8” all-in-one color display screen shows 20 pieces of vital information all displayed at one time, including diagnostic trouble code(s) and their definition(s) in English, French and Spanish. Read and Erase CHECK ENGINE light codes with a click of a button (warning: it will come back on unless the root problem is fixed). Battery/Alternator test – helps troubleshoot no-start car problems. Diagnose and erase ABS (anti-lock brake) codes on most popular, newer-model vehicles (GM, Ford, Chrysler, Toyota, and Honda). Red-Yellow-Green LEDs indicates emissions monitor status. They can also help catch intermittent problems or confirm repairs during a drive cycle. 9-button format with HOT KEYS – provide easy access to important information, intuitive navigation. Freeze frame shows engine conditions such as fuel trim, engine coolant temp, etc., at the time the Malfunction Indicator Lamp (MIL) was set. 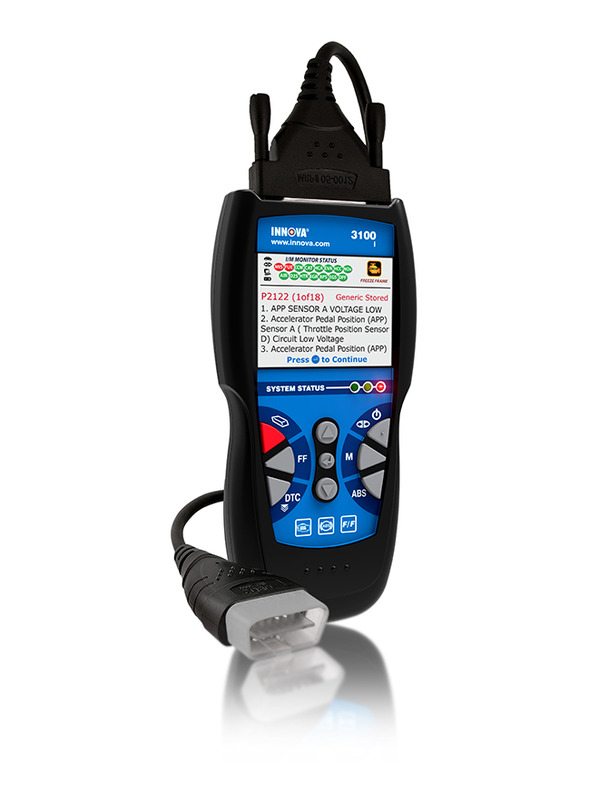 Audible beep – alerts when tool is successfully linked to vehicle. Automatically refreshes data every 30 seconds when connected to the vehicle. Memory/battery backup for off-car review and analysis. Battery low indicator – alerts when scan tool batteries need replacing to protect memory. Detachable cable – allows for easy replacement if it’s ever damaged. Free software and firmware updates, with included USB cable and any Internet-enabled PC or Mac. Includes optional access to RepairSolutions® -- the most comprehensive, verified fix information available. 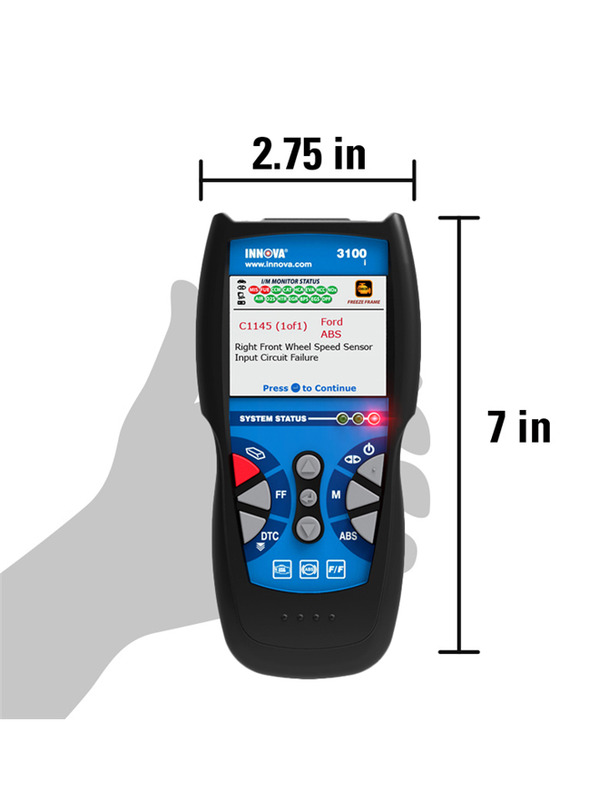 Just connect your Innova tool to an Internet-enabled computer to see the most likely fix; estimate parts and labor for your specific geographic region; and see repair difficulty level to help decide if you want to fix it yourself. Support available Monday – Saturday (6 a.m. – 6 p.m. Pacific Time) in English or Spanish, from Innova’s California-based team of Automotive Service Excellence (ASE)-certified technicians. Optional premium RepairSolutions® coverage to access accurate, recommended fix (es), labor times, how-to-repair videos, predicted failures, unscheduled maintenance reminders, TSB and recall notifications, and more. Will the 3100i have the ability to read ABS and SRS? The 3100i will retrieve ABS codes, on most 1996 and newer GM, Ford, Chrysler, Toyota, and Honda vehicles. However, it will not retrieve SRS codes. Please refer to our coverage chart for more information. What is the percentage bar, when you initially connect to a vehicle? This percentage indicates the total completion value, when connecting to a certain protocol. Will this code reader display live data and do bi-directional functions? No. it won't stream Live Data and it doesn’t have bi-directional functions. Please refer to Innova’s Scan Tools for Live Data capabilities. Does the 3100i reset the maintence light? Yes, the 3100i has the ability to reset a maintenance light. Please refer to our coverage chart for more information. What extra features does the software offer? 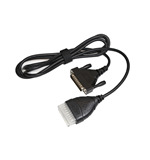 The Pc link software will allow you to connect the Code Reader to a PC and transfer the information retrieved from your vehicle’s computer. It will allow you to create a basic report that provides you with the code, code definitions, freeze frame data and if available possible causes for the DTC's. You can also purchase a premium membership, this will give you access to Verified Fixes for codes, Predicted Vehicle Repairs based on the current mileage, and access to our full library of do it yourself videos. The Code Reader won’t link to vehicles manufactured by Volkswagen. Volkswagen has an issue with communication when the vehicle has an aftermarket alarm or radio installed. This issue is not limited to Innova tools only, but occurs with all Code Readers that are on the market. Consult your local Volkswagen dealership or Service Center for the proper testing procedures in this case. Download Adobe Reader to view files.